Basically, laminate flooring is the result of a direct-pressure manufacturing process that fuses several layers - wear layer, surface visual, high density fiberboard and a backing board - into one extremely durable floor with enhanced surface protection. Is laminate flooring real wood? No. Laminate flooring is made of wood products - saw dust for the high density fiberboard core, a paper layer for the visual - but it is not considered a wood flooring product. I’ve seen laminate that looks just like real wood or ceramic tile. How do they do that? Yes, laminate flooring has become the flooring of choice for many homeowners due to its ability to closely emulate today's most popular natural hard surfaces. Using high-definition photography, laminates lock in the realism of hardwoods, of natural stone – or anything else you want! With new embossing, and now embossed-in-register technology it’s getting more and more difficult to tell the difference. 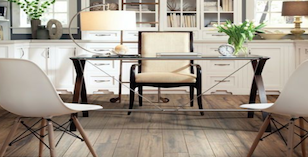 Why buy a laminate floor, and not just get the real thing? 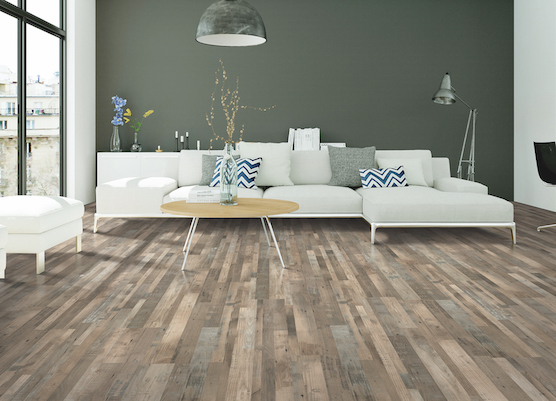 Laminate’s real claim to fame is it durability and ease of maintenance. Since most come with a melamine or aluminum oxide wear layer, it can stand up to kids, pets, traffic and more. Plus, the great thing about laminate flooring is not only does it closely emulate other hard surfaces, but it does it at a fraction of the cost and with few of the drawbacks inherent in natural materials such as staining (as with hardwood) and cracking (in the case of ceramic tile). Can I install laminate flooring myself? 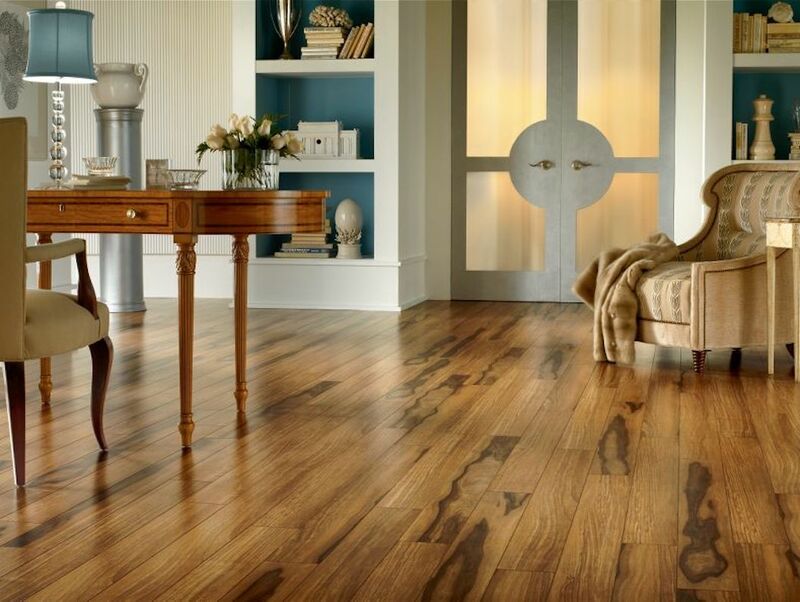 The average sale of a laminate floor is just over $1,500 fully installed with underlayment. Expect to pay anywhere from $1 to $6 per square foot for the flooring (depending upon the quality of design as well as thickness), with installation running about $2 to $4 per square foot, including underlayment. However, keep in mind that installation costs can vary greatly, depending upon geography as well as subfloor preparation needs. How long will my laminate floor last? With proper care and maintenance, a quality laminate floor should last 15 to 30 years, which is on par with other types of manufactured flooring, but less than that of genuine stone, ceramic and some other natural materials. 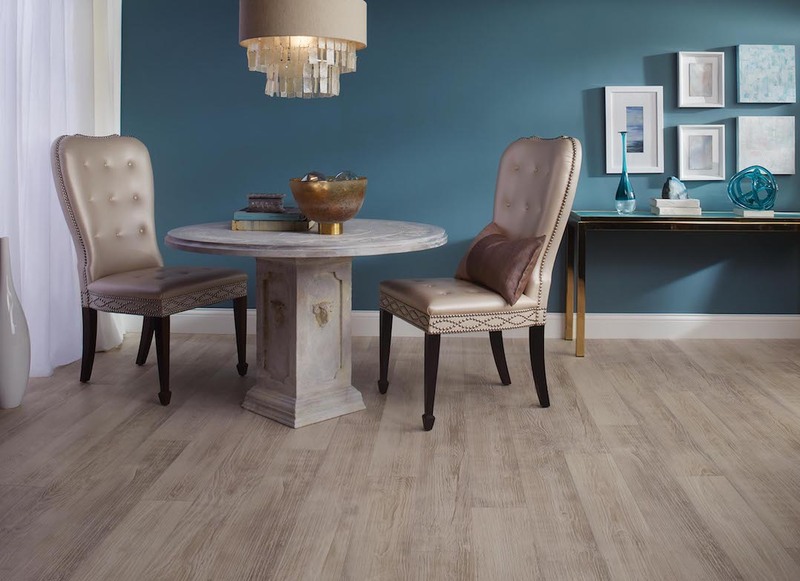 Pergo was one of the first laminate flooring brands to come to the US and quickly captured the imaginations of consumers looking for a more affordable alternative to pricier natural products like hardwood, ceramic tile and stone. Pergo soon came to be used generically to describe any laminate floor much in the same way Kleenex is used to describe tissues. Today, new owners are hoping to once again revitalize the Pergo brand with new product offerings in good, better, best configurations, but it remains primarily a product that is sold through home centers. Can a laminate floor be refinished, like hardwood? No, laminate floors cannot be refinished or recoated. I’ve seen really, really cheap laminate flooring being sold on the internet. What's up? 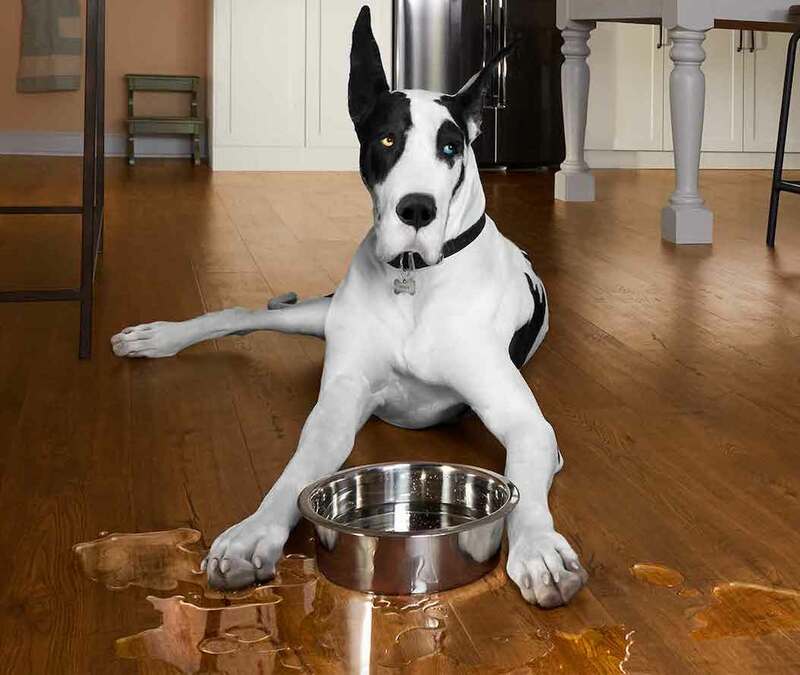 There’s one thing you should be careful of when buying a laminate floor: Quality. Unfortunately, there are a lot of cheap laminate products being imported from overseas, so it’s important to buy from a reputable and reliable retailer and to buy the best you can afford, depending upon the setting. I know that water is a concern for laminate flooring. Does this mean that I can’t put laminate flooring in my bathroom? Laminate flooring can be used in virtually any room of the house but it is not recommended for wet environments. Although it’s true that laminate floors are sensitive to excessive moisture, if you plan on using laminate flooring in your kitchen or bathroom, you may need to take special precautions to prevent water from contacting the core material of the flooring. In such cases, sealing the perimeter of the floor with caulk or sealant, especially around sinks and dishwashers will usually do the job. Even better, take advantage of new spill protection on better products that provide warrantied coverage against most spills. Also highly recommended in case of pet accidents. I’ve heard people refer to laminate as a “floating” floor. Does it really float? 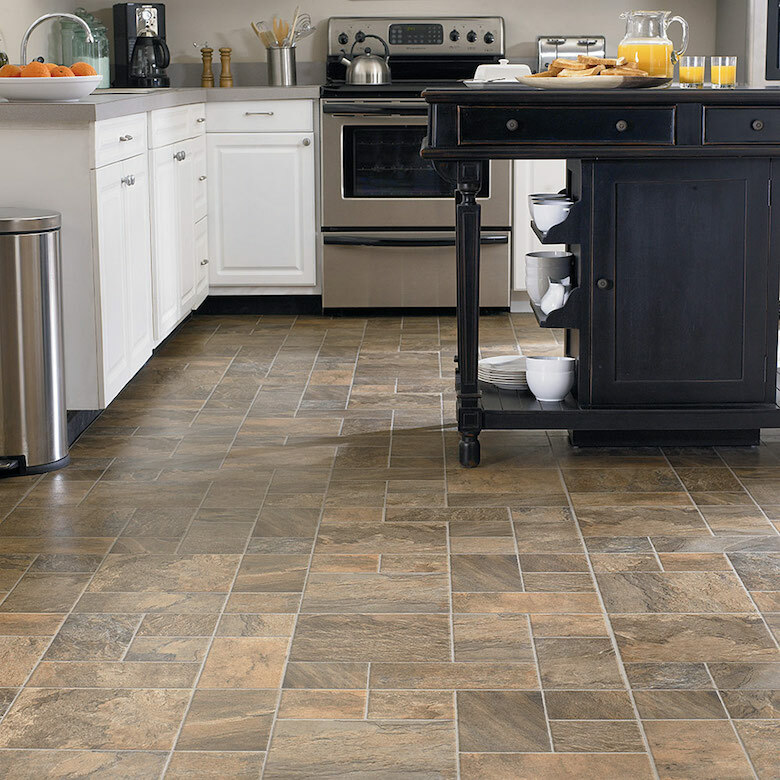 Can you put a laminate floor over any type of flooring? 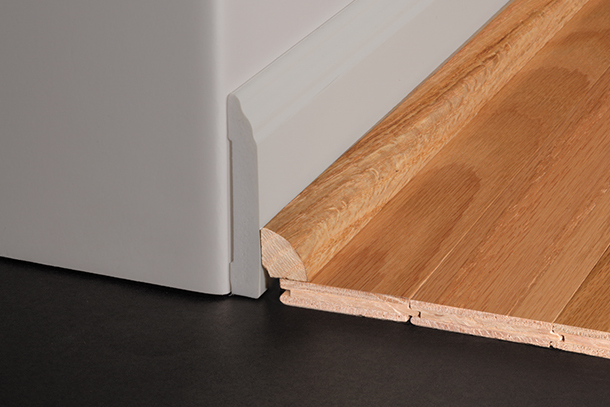 It is possible to install a laminate floor over virtually any existing floor, except high-pile carpet. Use of a good underlayment is highly recommended in these cases. 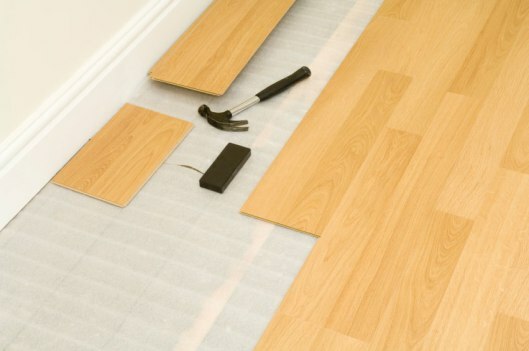 Is underlayment required with a laminate floor? Yes. Underlayments provide protection against warping from moisture beneath, particularly if you're installing the floor over concrete. Underlayments also reduce or eliminate the sometimes "hollow" sound generated from foot traffic. Keep in mind that some laminate floors come with underlayment attached. How much laminate flooring will I need? Although your retail flooring specialist will take detailed measurements, you can get a sense of how much laminate flooring you will need by measuring the length and width of the rooms where your new laminate flooring will be installed and then multiplying the length by the width to determine the estimated square footage. Also, add 10 to 15 percent to your total square footage to account for cutting, installation errors and variation in floor design. Moisture resistance from normal household cleaners and liquid spills: 20 years or more. Will not unlock at seams: 20 years or more. Can be installed over existing flooring.